Quite the charmers, male botos sometimes try and win over females by pulling some particularly alluring techniques out of the bag. Wooing their ladies with clever tricks, male botos pick up floating plants or pieces of wood with their mouths, twirl in circles and then proceed to smack their chosen object on the water’s surface. This may sound comical, but at least two other species are known to perform similar rituals to impress potential mates – chimps, and humans! What do botos look like? Botos look very different to marine dolphins. First of all, they’re pink. 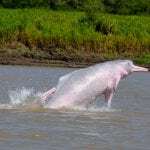 Born grey, adult Amazon River dolphins turn pink or pinkish-grey as they mature, with males being both bigger and pinker than females. That’s not the only difference though. 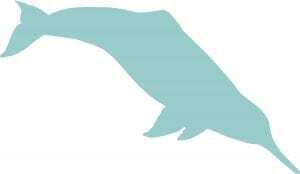 With low, ridge-like dorsal fins, long, skinny snouts, plump bodies, chubby cheeks and round, bulbous foreheads, botos have developed a unique look of their own. Even with their generously-sized heads though, botos have fairly small eyes. This may lead you to think that river dolphins struggle to see, but in fact, their eyesight is actually pretty good. Aided by their unfused neck vertebrae, they can get a good look at their underwater worlds by turning their heads in all directions and checking things out from every angle. Baby botos are born a bluish-grey colour and they get pinker as they age. Mature males are pinker than females, which could be to do with their penchant for fighting. As wounds heal, they are covered with pink scar tissue eventually replacing their grey skin. What’s life like for a boto? Usually found alone, in mother-calf pairs or in small pods of 3 or 4 individuals, botos are rarely found in large groups. While sometimes 20 to 40 botos can be found feeding together in one area, it’s not particularly common and they generally prefer keeping themselves to themselves. 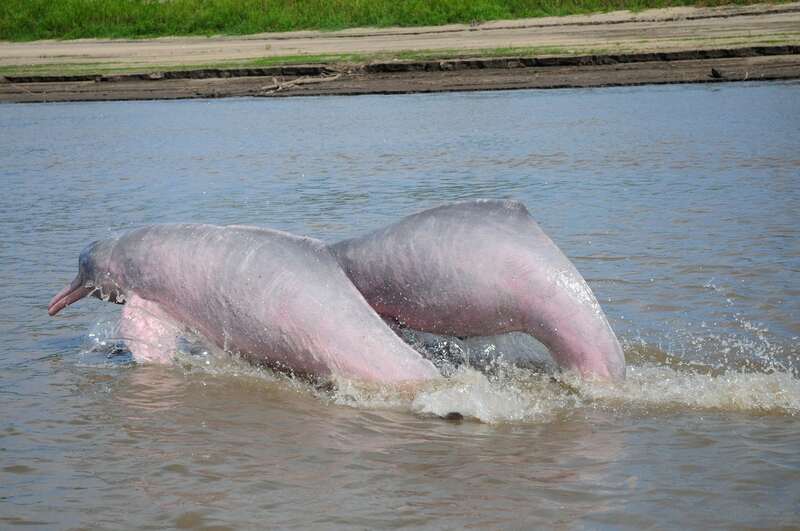 Helping them to hunt and feed, Amazon River dolphins have lithe, manoeuvrable bodies. Dexterous swimmers, they can easily weave their way through submerged trees and shrubs to find their food. Assisted by their big, paddle-shaped flippers that they can circle independently of each other, botos are natural gymnasts, swimming backwards, upside down and pivoting like pros. As you can imagine, this is very helpful when your prey is quick and prone to taking refuge in hard-to-reach places. Active day and night, botos are quite inquisitive beings. Amazon River dolphins have been known to approach canoes, grabbing hold of fishermen’s paddles with their beaks and making off with their prize. They can also throw sticks and weed, pull grass underwater and play with turtles, snakes and fish. Interestingly, Amazon River dolphins are the only dolphins who have the equivalent of molar teeth, much like we do. They use these teeth to crunch up their food before swallowing. Not particularly fussy eaters, botos will happily tuck into a varied diet of over 40 species of fish, shrimps, crabs and turtles. Despite the understandable connection people often make with dolphins and the open ocean, botos only live in freshwater – often thousands of miles from the sea.. 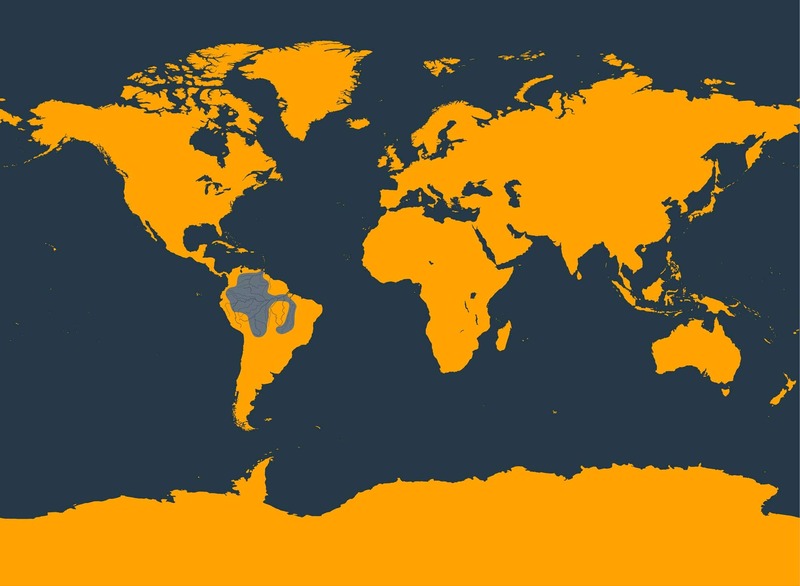 Living in huge rivers, small tributaries, lakes, flooded forests and submerged grasslands, botos can be found in six countries: Bolivia, Brazil, Colombia, Ecuador, Peru and Venezuela. These include resident populations throughout the Amazon and Orinoco river systems, as well as in the Araguaia River in Brazil. In Amazonian folklore and culture, botos live in magical, underwater kingdoms and have supernatural powers. 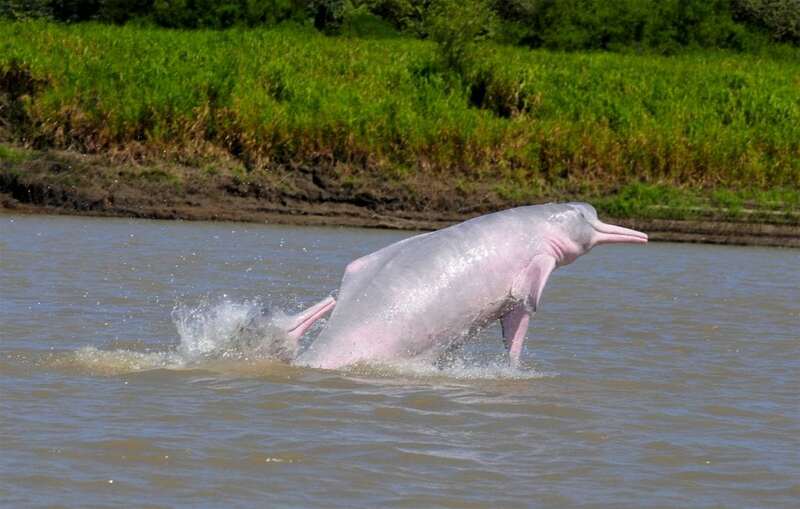 The boto is an ‘encantado’ – an enchanted shapeshifter living as a river dolphin by day and morphing into a handsome young man at night. Once transformed, the encantado leaves the river to attend parties and seduce young girls. These mysterious shapeshifters are not able to completely disguise themselves though and still have traces of their dolphin selves. To keep their identities safe, they always wear white hats to cover the blowhole still atop their heads and must return back to the river before morning. 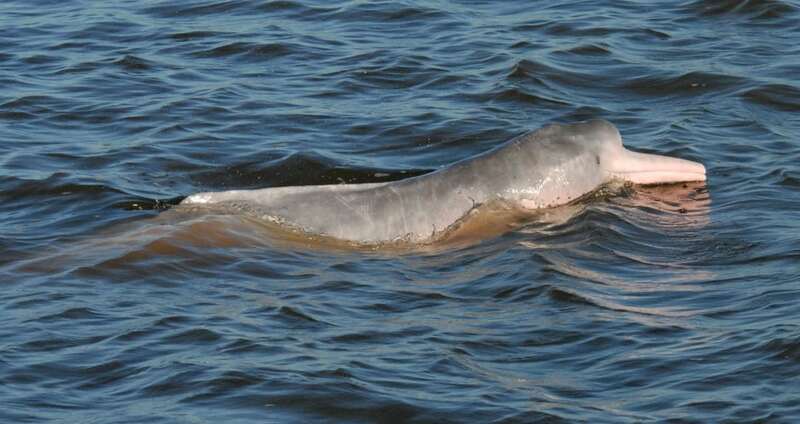 River dolphins are among the most seriously threatened dolphins in the world. Living close to land, botos share their resources and habitats with millions of people and are suffering the consequences. As humans continue to transform rivers to serve their own needs and pollute waters, the future for river dolphins is looking particularly bleak. That’s not the only problem, either. In the past, botos were spared from hunting and persecution because they were believed to be magical. Unfortunately, these beliefs have been increasingly diluted as more and more people from outside the region have set up home in the Amazon. Since the mid-1990s, thousands of botos have been hunted to provide bait to catch meat-eating fish called mota or piracatinga or caught in fishing nets. In some areas the number of botos has been halved or worse still, and many populations are now severely endangered. With increased riverside human populations, fishing and the creation of dams, habitat destruction and dolphin deaths are on the rise. Quite simply, botos do not have anywhere else to go. Establish fresh water protected areas - identify and establish meaningful protection for important fresh water habitat areas for river dolphins. 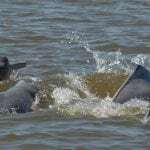 Protecting areas in nature that river dolphins need to survive is challenging but essential for their future survival. WDC is working at international, national and local levels to establish Protected Areas which can be managed for river dolphin conservation. Support grass roots conservation efforts in Colombia, Peru and Bolivia. WDC is working with local NGOs supporting community education and outreach work to establish support for river dolphin protection. 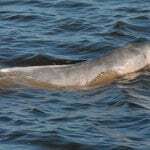 This is very important as cooperation and understanding from those people who share their rainforest homes with botos is the key to stopping deliberate killing of Amazon River dolphins for bait and a reduction in accidental deaths in fishing nets. Botos live deep in the rainforest but human activities increasingly encroach on their habitat and pose a threat to their survival. Pollution - toxic chemicals from plastics, litter and oil spills are discharged into the rivers, polluting the dolphins' habitat. Fishing gear - dolphins can become entangled in nets set along the rivers. Hunting - in some places dolphins are deliberately killed so their meat can be used to catch fish.